Not enough time to join 3 days / 2 nights Ang Thong National Park Expedition Safari? No problem. You can still visit this piece of paradise on Earth with us. 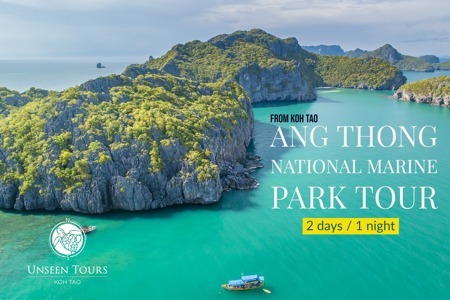 Join the Ang Thong National Park Tour, it is only 2 days and 1 night. This program is subject to change, depending on the weather or the big tour companies. we try as much as possible to avoid the tourist flow. Please, select a date for booking.